Dota 2’s finishing up for the year, with just one more big tournament in 2015 at the Word Cyber Arena in China this weekend and The Summit 4 having just concluded. As it does so, next year’s calendar is starting to come into focus, including the return of ESL One Frankfurt, the mid-summer ESL-ran tournament that acts as a European preview for The International (not to be confused with the Frankfurt Major, which happens later in the year). New on the Dota-block? You need these best Dota heroes for beginners. Congrats to the winners in a real close series. Their style has never been for me, preferring my e-sports professional next to the ‘casual’ (awful) nature of gaming in general, but it really strikes a cord with some. I can enjoy good Dota played well no matter the setting, thankfully, and I’m sure the pro teams won’t begrudge another pair of six-figure tournaments. Meanwhile, ESL have announced ESL One Frankfurt, “Europe’s biggest Dota tournament”, will return next year on the 18th and 19th of June. This is almost exactly 12 months after this year’s showing. It has a number of different ticket options on the official site, but the really interesting changes were announced to the Reddit community. The tournament will feature the largest live screen ever seen in e-sports at over 500m². They’re also increasing the number and scale of on-site side-events as they proved successful and popular last year, and an opening and after party for the fans. It will stay as an eight-team tournament doing single-elimination best of threes until a final best of five. That’s a smaller number of matches than normal Dota tournaments, but over a shorter time period with just a pair of days. The $250k prize pool means there’s plenty on the line and no reason for the best teams not to show up. 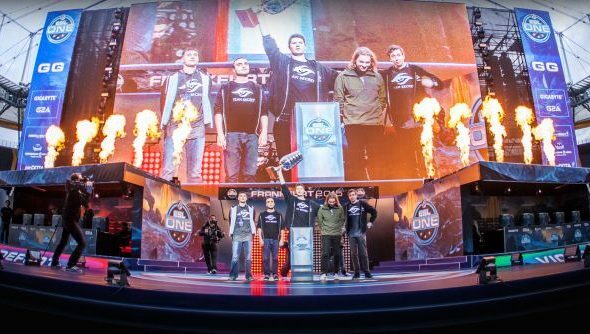 2016 could prove to be a marquee year in e-sports as it builds on the incredible foundations of 2015. More money and tournaments and all the rest. We’ll have some highlights of that for you over the Christmas break. What was your favourite moment?